Conversion of the mod by ThirteenOranges. 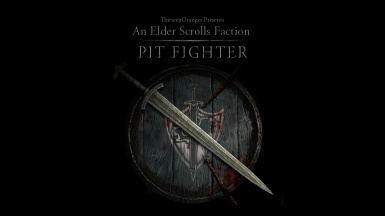 Pit Fighter contains an all new faction to join, complete with NPCs, progression through the ranks, unique rewards and side quests. 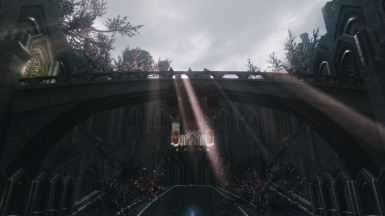 This is a conversion of the original mod created by ThirteenOranges which can be found here. I've converted and uploaded this mod with his permission. Also included is the Travels Add-On. It was a seperate mod on Steam, but I've add it as an optional file in the download section. I'm releasing this as is. I will not be updating this mod in any way so I won't be fixing any potential issues or mod conflicts you might find. If you set out to patch any conflicts you find I won't stop you. I'm just here to provide the conversion of the mod. 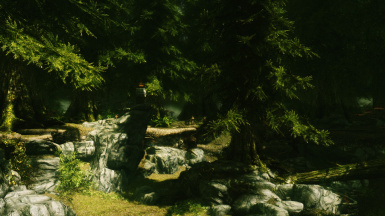 In the coming weeks/months I'll try to convert every mod by ThirteenOranges, so keep an eye out. The description below is copied from ThirteenOranges original mod pages, with some adjustements of my own where needed. becoming a Legend of gladiatorial combat." - An all new faction to join. 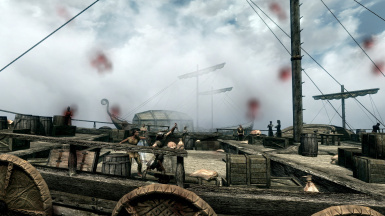 - Compete in a variety of locations from Windhelms old Arena to Orc Strongholds and Smuggler fighting rings. 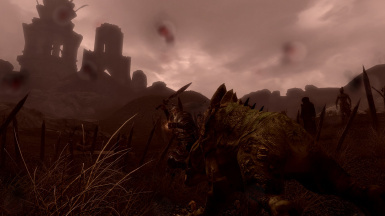 - With the Travels Add-On, also go to locations in other provinces, from The Summerset Isles to Morrowind. - New unique weapons from PrivateEye. - Fight against a variety of opponents from one-on-one contests to fights against teams of opponents or dangerous creatures. 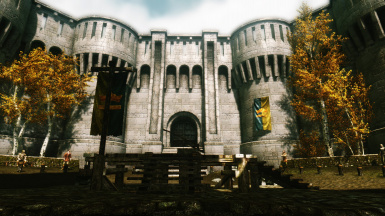 - Bet on (and spectate) fights in Windhelm's Old Arena. - Lore friendly and consistent with the style and themes of the rest of the game. Just download with your mod manager of choice and hit install, or download manually and drop the content of the .7z file into your Data directory. Activate quest_pitfighter.esp / quest_pitfighter_dlc01.esp in your mod manager and you're all set! - Dialogue is fully voice acted to a high standard. 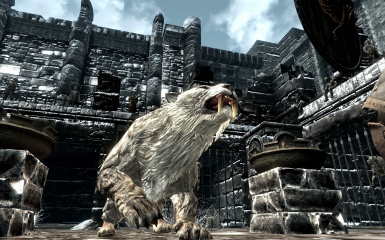 - The Pit Fighters can be found in Windhelm's Grey Quarter. 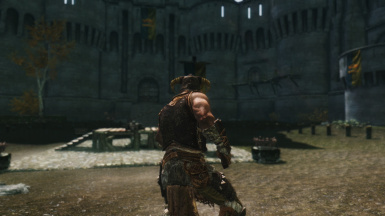 - You can spectate fights in Windhelm's Old Arena. Talk to the Doorman in the Dock's District. - To compete in any of the arena's in other lands, talk to Gerich after competing in any of the original locations (Travels Add-on). 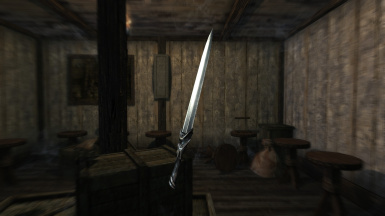 - The above images contain some, but not all of the unique weapons/items available. - Is this mod compatible with mod X? 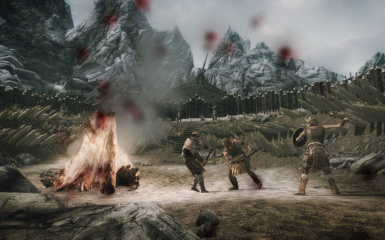 This mod should be pretty compatible with most other mods, except those that make big modifications to Windhelm. 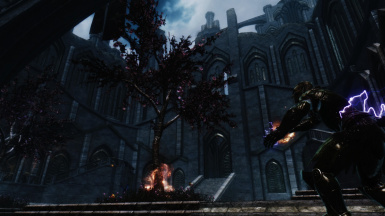 Open Cities Windhelm will conlfict. 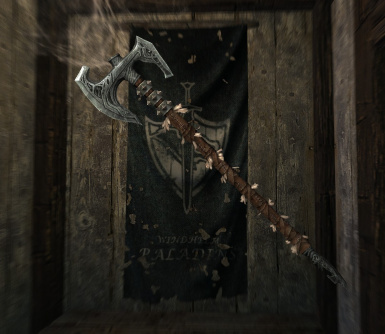 You will not be able to access this mods main features (the faction).Other mods that modifiy Windhelm might or might not work. 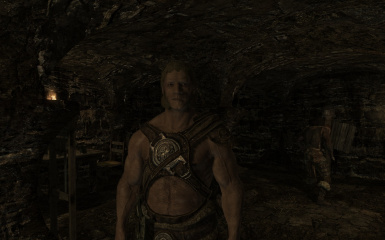 I used to run Pit Fighter with JK's Windhelm and there were some clipping issues but otherwise things worked fine. If you're unsure test it out. - Will you make a patch for mod X? - Where is the entrance to the Pit Fighters? 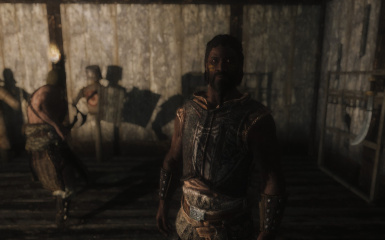 It's in the Windhelm Dark Elf district, on the corner next to Sadri's Used Wares. 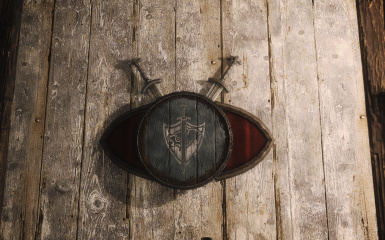 If you don't see the door you might have another mod loaded that makes adjustments to Windhelm and blocks the entrance. - Why are there 2 .esps? 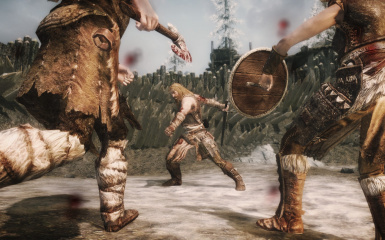 The original mod was seperated in the base mod and the add-on that relied on DLC content, so that people who didn't own the DLC could still play the base version of the mod. I don't understand enough of how both .esps work together and don't feel confident enough to merge them. So, I provide the mod as it is: in 2 parts.